Desigual is a Spanish clothing brand which has now expanded internationally and is known for its distinctive, asymmetrical design. The unique style also offers a colorful collection including women's and men's clothing as well as accessories and shoes. With Big Apple Buddy’s personal shopping service, you can now buy direct from the Desigual online store anytime, anywhere. Get a sense of the quirky fashion of the Desigual brand with the Floral Print Dress Sonia. This sleeveless v-neck dress is a fun and chic option for any type of occasion. Combine it with a black turtleneck shirt underneath for a unique combination that will best show off the dress. The intricate design will make you stand out in the best way possible and will be your go-to option for a night out. Need to cover up this coming fall season? The Desigual Coat Volare is the unique coat that you'll want to combine with all your outfits. 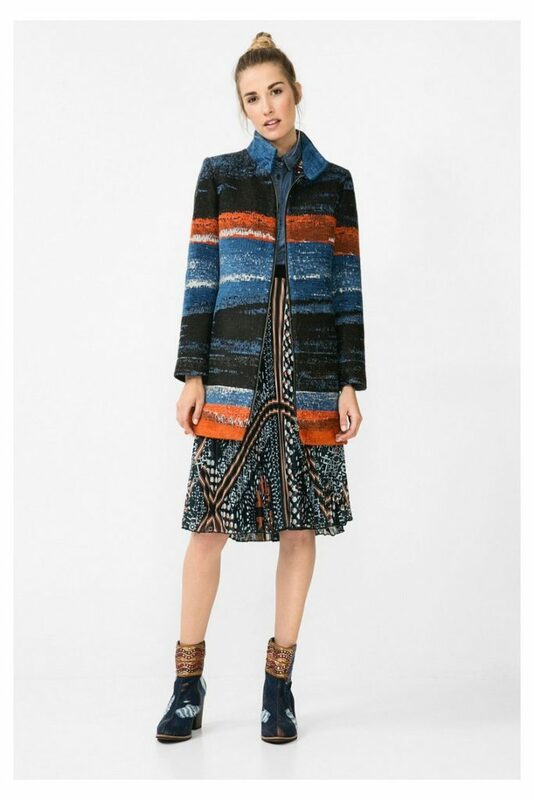 The bold and contrasting colors, including blue and red, are a fun mix to this one of a kind coat. It'll keep you warm but is still lightweight with its polyester material. 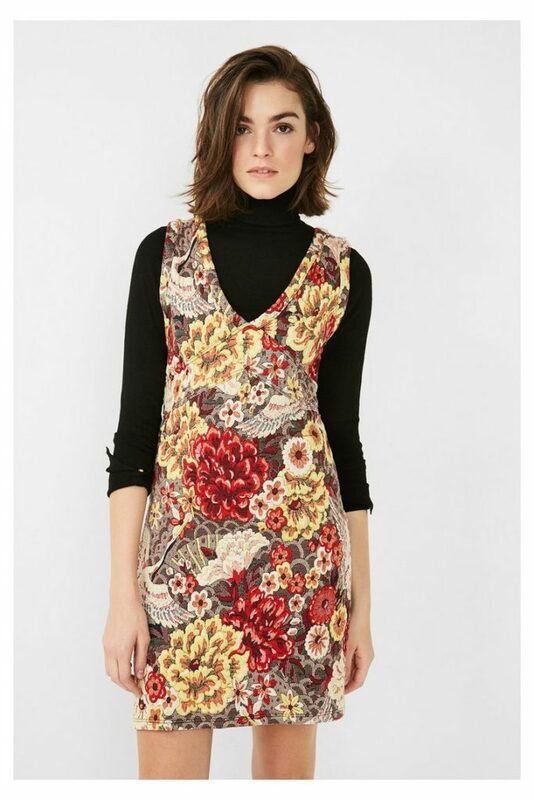 Combine it with an equally asymmetrical dress or shirt of Desigual for a daring look. You can never have enough bags! With Desigual's Bag Capazo Uma, you'll be able to fit all your essentials and more every time you go out, no matter the occasion. 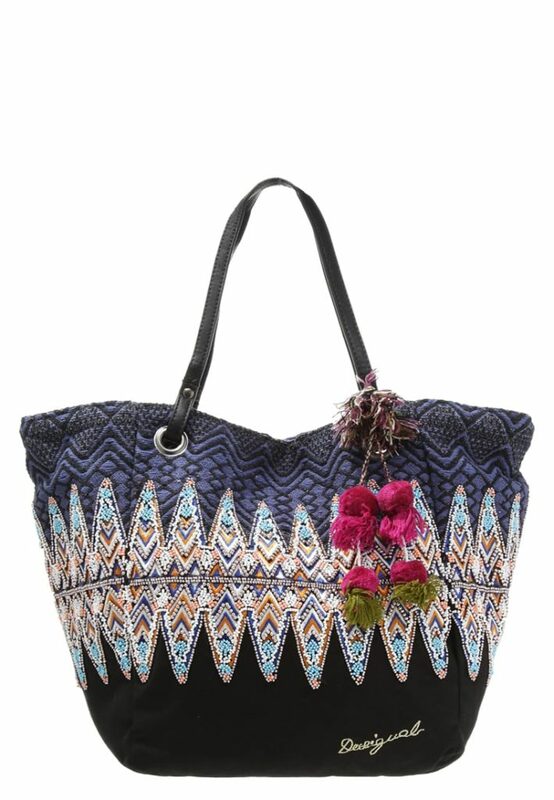 Made out of different fabrics, this bag has some of the most beautiful patterns Desigual has to offer combined into one. The shoulder strap makes it easy to carry wherever you go and the 100% cotton material is soft to the touch. Unfortunately, the USA Desigual online store does not currently offer international shipping. However, Big Apple Buddy, your personal shopper, can help you buy products direct from the official USA Desigual online store and ship them to your doorstep, no matter where you are in the world. If you would like to buy from the USA Desigual online store, simply let us know which items you would like to order (by filling out the form below) and we’ll get back to you with a free international shipping quote within 24 hours!